Only 50 STEPS From The Water! This immaculate gulf front home is just the tropical oasis you and your loved ones need in order to find that perfect vacation bliss! 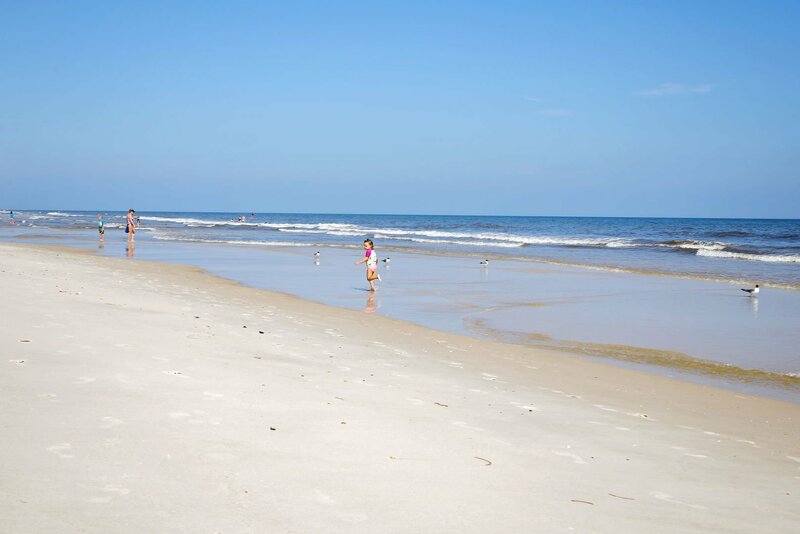 Enjoy incredible beach access from this 3 bedroom, 2.5 bathroom home. 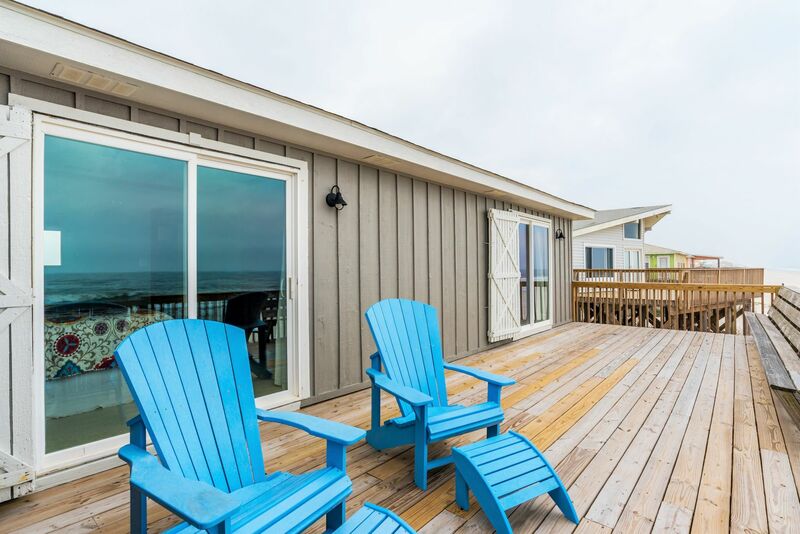 A total of eight guests can stay in this gulf front home, allowing you to bring your whole family—or even a few of your closest friends! 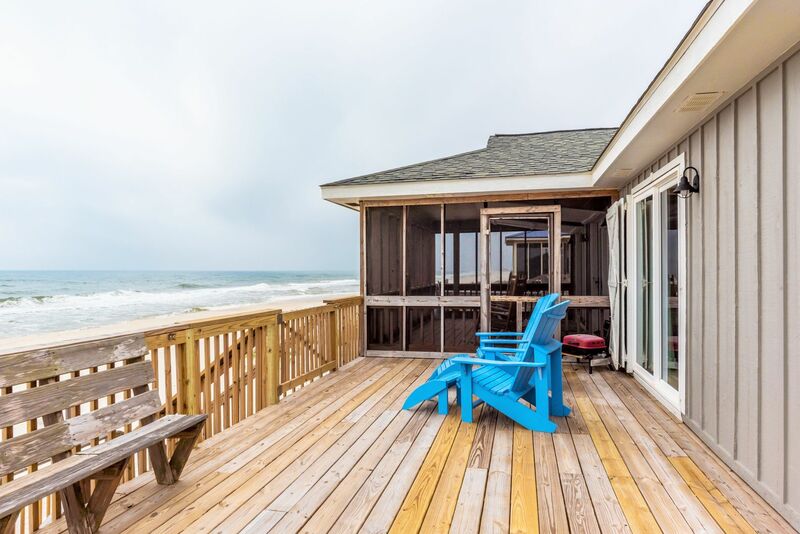 Inside and out, Stuck in the Sand is adorned with dazzling views of the Gulf of Mexico, from the living room’s glittering array of windows to the expansive open-air, screened-in porch that overlooks the crashing waves of the sea. A classic beach theme is exuded throughout the home, accentuating the laid-back ambiance of this tranquil locale. A high-end kitchen with modern appliances and plentiful countertop space also gives guests extra seating at the bar area—perfect for sharing meals and memories together. The master bedroom features private deck access, as well as a private full bath. The second bedroom includes a comfy queen-sized bed and private access to the deck area. The third bedroom can sleep 4 on 2 comfy queen beds. Stuck in the Sand is owned by Jim and Holly, and is located a handy distance away from a number of other wonderful Harris Properties vacation rentals, including Pelican Paradise, This’ll Do, That’ll Do, Driftwood Inn, Wall Street, Wings of Eagle, Summerwind, and Summer of 42. 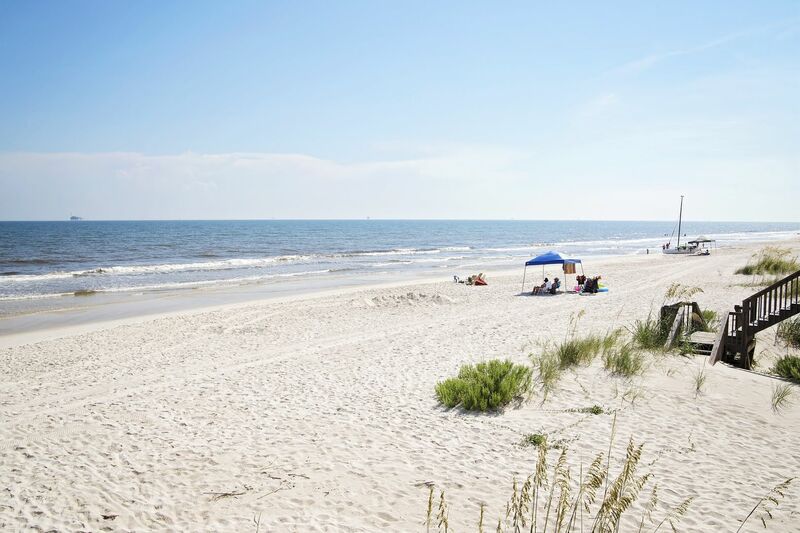 If you’re interested in accommodating a larger party of family members or friends without having to sacrifice space, privacy, or comfort to do so, renting out one of these properties along with Stuck in the Sand is a great option that allows everyone to stay close together during your time in Gulf Shores. All around Fort Morgan, you’ll find endless opportunities for fun and excitement. From the storied ruins of the Fort Morgan Historic Site to the ample fishing at the Fort Morgan Fishing Pier, there’s something here for everyone. Gulf Shores Marina is another excellent place to visit, as it has a bait shop, fishing pier, the famous Tacky Jack’s Restaurant, and rentals for boats and boat slips. You can launch your personal or rented boat from the Fort Morgan Public Boat Launch. For your convenience (or pizza) needs, Sassy Bass Restaurant serves up takeout pizza, as well as a bevy of convenience items at its onsite package and general stores. 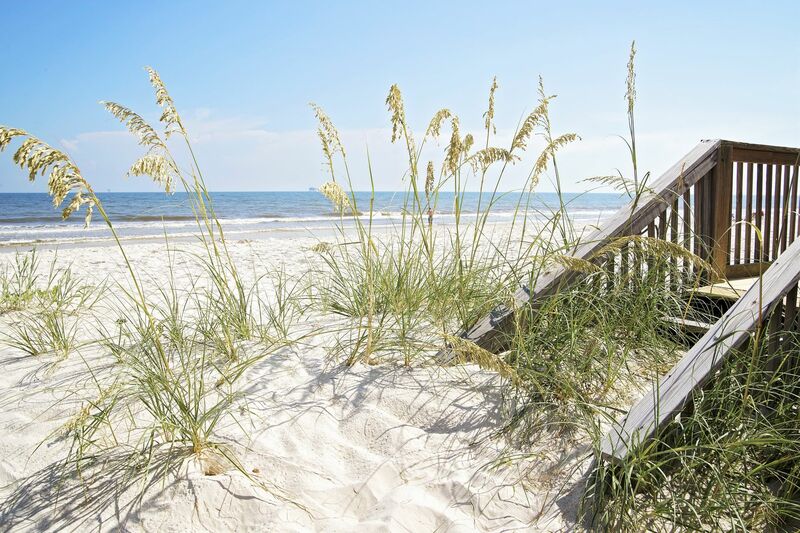 Contact our team of reservation specialists to learn additional information on the activities and attractions that are waiting for you in Gulf Shores when you reserve your stay in Stuck in the Sand or another one of the fantastic vacation rentals available through Harris Properties today!